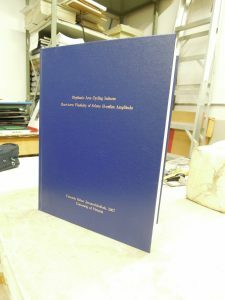 Thesis binding a concern? Congratulations! Home » Thesis binding a concern? Congratulations! Congratulations on your accomplishment! Thinking of thesis or dissertation binding to acquire those necessary extra copies? 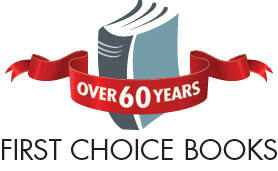 First Choice Books offers custom printing and library quality binding for your important work. Your thesis can be printed by First Choice Books in black and white or full colour, on heavy, smooth white 70lb paper, and bound in a variety of cover-cloth colours and textures. We hot foil stamp your title and name on the cover and spine in gold or silver. We can supply a printed, coil bound version, upon request, which some institutions now require along with the bound copy. What to send us: one PDF file for the thesis, and an email for the exact spelling for the title and credits. Binding takes approximately 2-3 weeks. Please let us know if you have a specific deadline to meet. Send files to graphics@firstchoicebooks.ca.